Strategic Resources’ candidates can relax in the knowledge that they’re in capable hands. We combine a friendly, honest and professional approach with practical support, including access to new job vacancies every day. We look after our contractors in every possible way. Strategic Resources don’t just handle the priorities, such as making sure you’re paid on time. We also take care of Contractor Management Services such as payroll, expenses and contract continuity – and we check back in with you regularly too. Strategic Resources’ payroll services are designed to cope with the often complex requirements of PAYE pension auto-enrolment, holiday and sickness pay, overtime calculations, apprenticeship levy etc. We can also complete and return an ITEPA intermediary report (or reports) which must be forwarded to HMRC with details of all workers placed with clients where PAYE is not deducted from the workers’ payments (ie Personal Service Companies). Strategic Resources can process weekly and monthly payrolls for PAYE personnel, regular payment runs for limited company contractors and also fulfil the RTI and ITEPA intermediary reporting requirements to HMRC. Our company is ISO9001:2015 accredited, a member of the Recruitment and Employment Confederation (REC) and First Point Assessment (FPAL) registered. In business since 1987, Strategic Resources’ contract and permanent recruitment expertise spans engineering, technical support, administrative and commercial roles. Our head-hunting and executive search services are founded on Strategic Resources’ experience, in-depth industry knowledge and contacts, active networking and a commitment to long-term relationships. 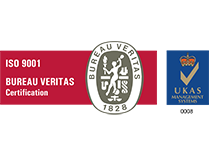 Strategic Resources European Recruitment Consultants Ltd is now ISO 9001:2015 certified! I’d like to thank Strategic Resources for their excellent service. It’s been a pleasure working with you all and I wouldn’t hesitate to use your services again in the future or recommend Strategic Resources in my network. ​I would like to thank SR for their support and efficient handling of all my business paperwork processing. Wishing all every success going forward. I would like to take the opportunity to thank yourself and the team for all your support over this last 18 months. After working in an offshore role for 20 years it has been an enjoyable time being in the office in an onshore support role. Can you suggest any improvements associated with the Strategic Resources recruitment and contractual processes? I do not believe there can any more improvement in the process as I was totally satisfied with the professional approach from your staff when dealing with myself. Can you suggest any improvements associated with the Strategic Resources finance processes? I have no problem with the finance process as any payments that were due to myself were paid on time. What is your perception of Strategic Resources? Great agency to work for and very helpful staff, hopefully it will a regular agency for myself for future workscopes. A small recruitment firm but very well run. How could Strategic Resources improve the services offered to you? I think Strategic are well managed and providing services to meet Contractor as well Client needs. It’s been a pleasure working through strategic for 3 years and I’ll certainly recommend you to anyone that is looking for a job in future. I would like to express my gratitude to Jan Kriel and all at Strategic Resources for the service supplied to myself over the past few months. Like your website stated - you did pay what you said and when you said. Your communication with myself in the early process of joining was very informative and friendly with any queries being answered swiftly. Even just little things like acknowledging receipt of documents required for completing with a simple thanks. I would have no doubt in recommending your company to any of my friends or colleagues as I feel you really do provide an excellent and professional service. Lastly I would like to thank you for the gift that I received last week, it was totally unexpected but very appreciated especially as I was only with the company for a short period of time. So I would like to wish you and the company all the very best for the future. It has been a pleasure working for, and dealing with everyone in your office. I wish every success everyone at Strategic Resources. Can you suggest any improvements associated with the Strategic Resources recruitment and contractual processes? No, the experience has been excellent, I don’t see how it could have been better. What is your perception of Strategic Resources? Wonderful - professional, efficient, friendly. OUTSOURCED PAYROLL SERVICES FOR GLASSCRAFT DECORATIVE LTD, LEEDS. I am extremely happy with how things have gone so far with Strategic Resources providing an Outsourced Payroll Service for Glasscraft. The transaction was effortless and the team bend over backwards to supply us with what we need. The key thing for me is how quick we get anything, if I request anything is actioned almost immediately, very professional and friendly . I couldn’t be happier. Very good agent. You keep up to date with market conditions, pay on time with no issues and contracts are managed very well. Wonderfully efficient, friendly and professional. Contact and support whenever required but never too much. Couldn’t have hoped for more. I am over the moon with services provided by Strategic Resources. Everyone is exceptionally helpful. Money are also paid to account very efficiently. Saipem recognise Strategic Resources as a key local supplier of contract and staff personnel within engineering and commercial functions. I’ve been dealing with the team at Strategic for many years and have always found them to be professional and friendly. They obviously have a broad knowledge across the oil and gas industry and can apply this to a wider recruitment field. 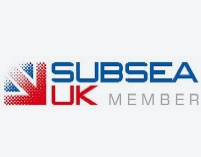 “I have utilised Strategic Resources on numerous occasions to identify, source and provide our team with a selection of potential Candidates for various specialist positions within the production, operations and commissioning phases of the projects. Strategic Resources personnel have been very knowledgeable and supportive in identifying the brief; a quick response has always been received. The quality of the Candidates has been excellent. I have also been impressed with the knowledge the Candidates had been briefed with, prior to the interviews and it was clear that only enthusiastic Candidates had been put forward. During the process I have found the response time to be very short and rapid turnarounds have been achieved whilst still maintaining the quality. I would have no hesitation in recommending Strategic Resources for inclusion within your projects”.